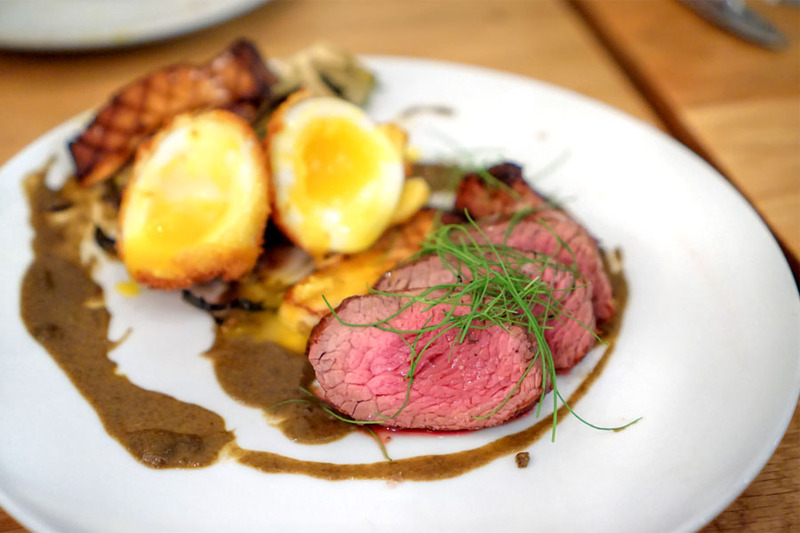 The last time we checked in on Nick Erven, he was making waves over at Koreatown's Saint Martha, one of the surprise hits of 2014. Things seemed to be going well for the place given all the accolades it racked up, but in September 2015, it was announced that the place would close temporarily due to a change in ownership structure. 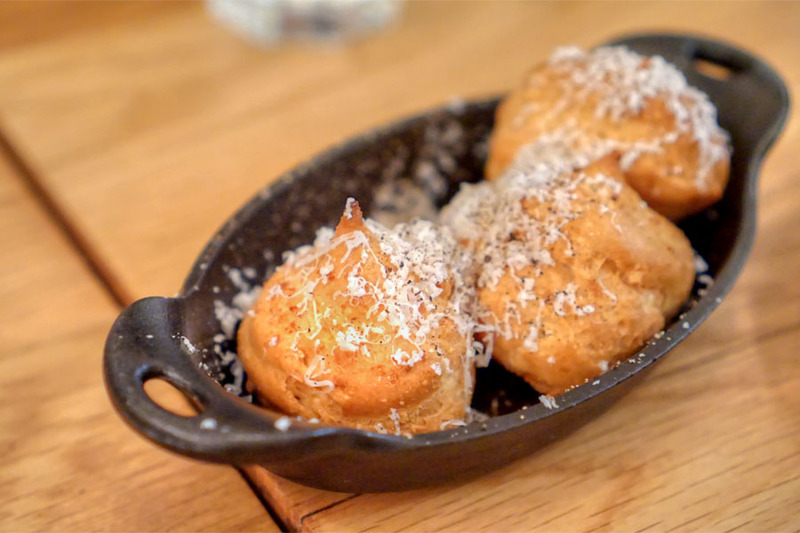 "Temporary" closures often turn out to be not so temporary in the culinary biz, and that was the case here, with the restaurant shuttering for good in December. It was then revealed that Erven would be teaming up with former Saint Martha partner Jim Hustead (Maré) on a quick-service concept. 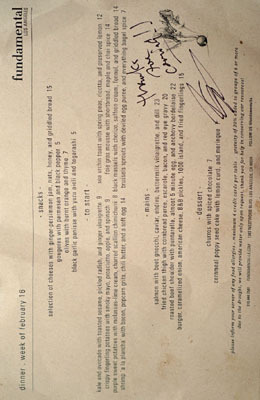 However, this January, the Chef officially took over the kitchens at fundamental LA, replacing Philip Pretty, who'd decamped to Restauration in Long Beach last October. The old Saint Martha space, meanwhile, has been flipped to Little Tart, a casual eatery from ex-partners Ellen and Peter Picataggio. 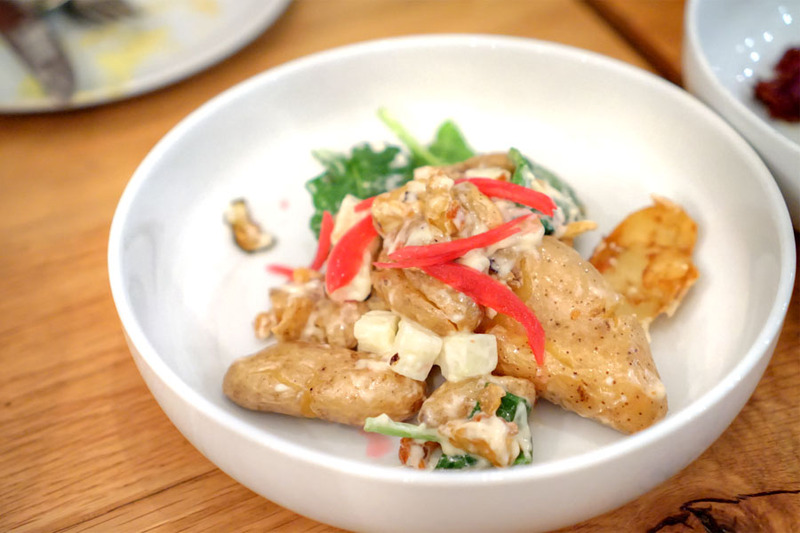 Food-wise, Erven's got his culinary stylings going on in a surprisingly compact, à la carte-only menu that's quite a bit more casual than what he was dishing out back at Saint Martha. 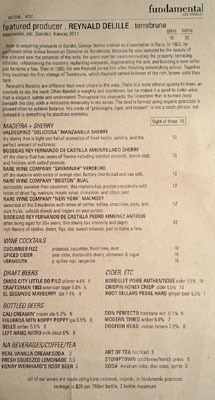 To drink, Wine Director/GM Alicia Kemper's still in place, so you still get that short-but-sweet wine list of hers, not to mention a few beers if you prefer. 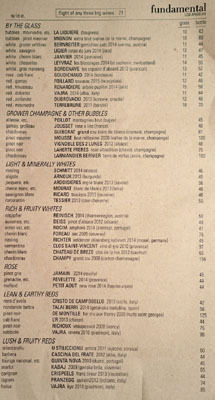 Corkage is $25 a pop, but we managed to get it waived, ostensibly since we purchased two bottles off the list. Click for larger versions. 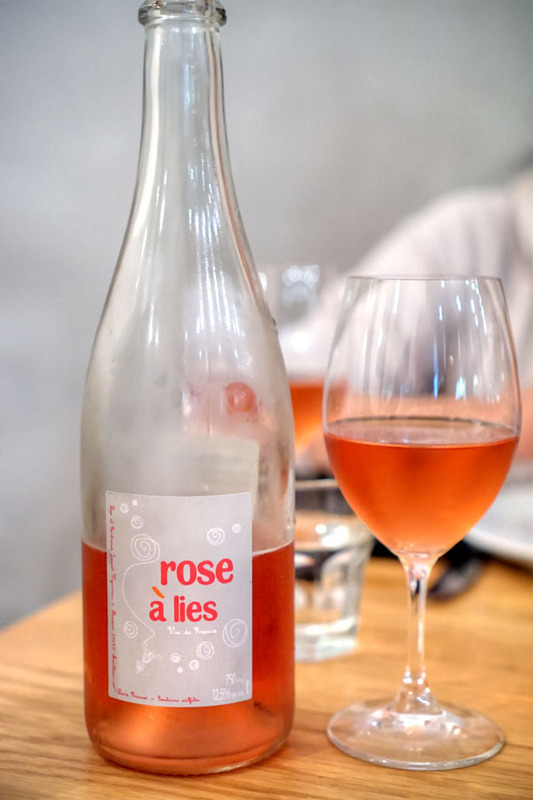 As was the case last time, we got started with something pink and bubbly, the Gamay, Grolleau, Jousset, Rose a Lies (France) [$48]. This was a fun one to drink: sweet and juicy and tart to the smell with a strong presence of strawberry; the taste wasn't quite as fruity though, with more of a drier, breadier character. The gougères were somewhat larger than what I'm accustomed to, but still came out light and fluffy, with a proper cheesiness. Splendid spiciness from the black pepper too. Shrimp were fun-sized though deftly cooked, with a great texture and brininess to 'em. I also appreciated the salt and crunch from bacon, as well as the heat from the chile, while the sweet-ish grits worked to moderate everything. Tasty. 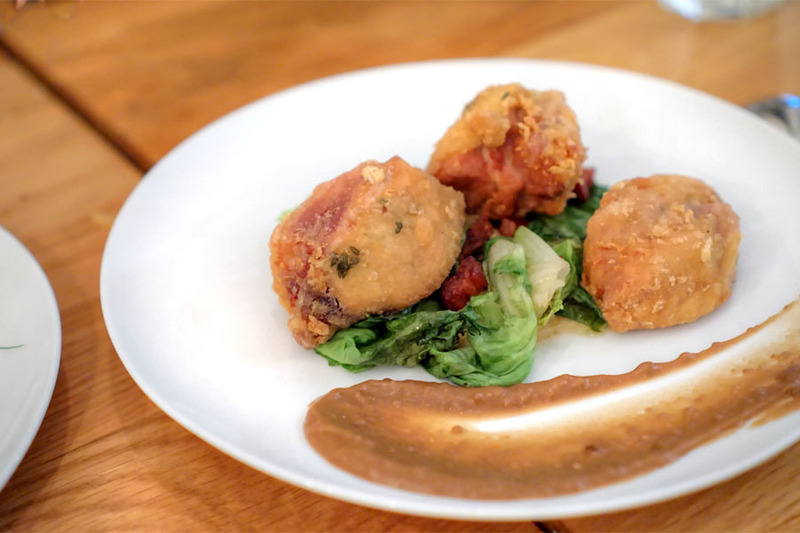 Erven's chickpea fritters packed a punch, showcasing the super savory, potent nature of black garlic against the brightness of yuzu. 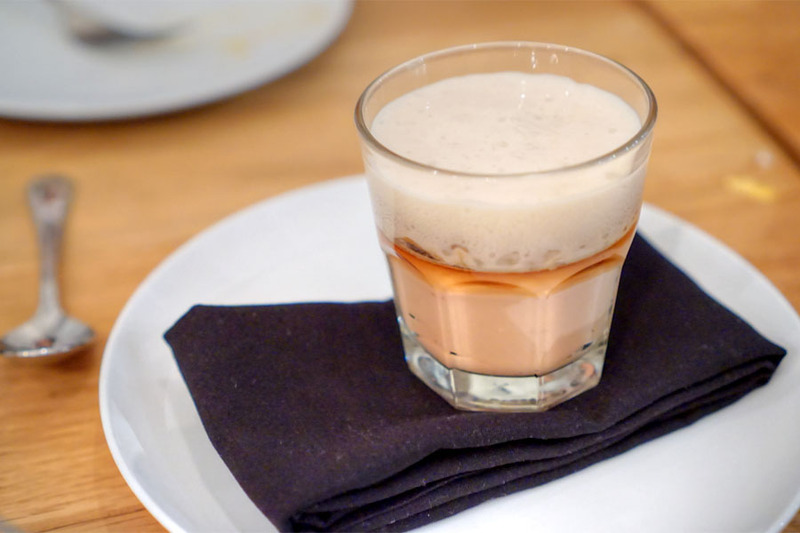 Foie arrived utterly smooth and downright airy, the liver matched by plenty of sweet 'n' spicy notes while shortbread provided a textural counterpoint. 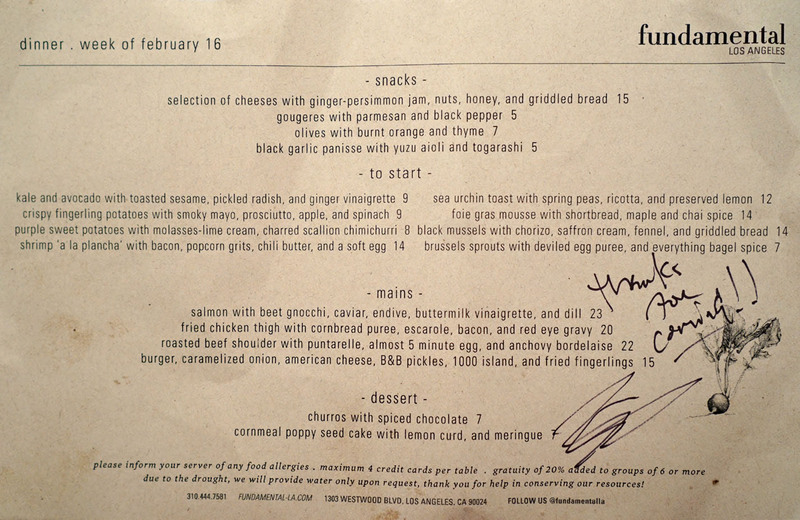 I would've liked less sugariness here though, to let the foie gras shine a bit more. 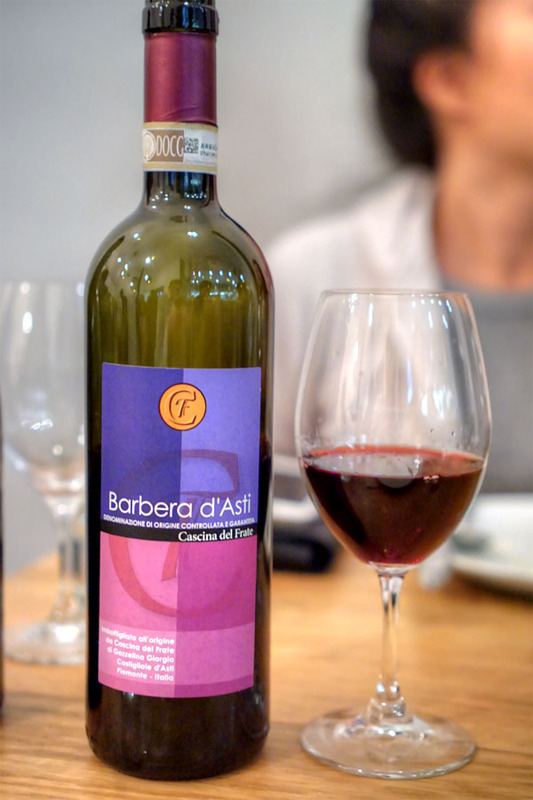 With the rosé finished, we moved on to a red, the Barbera, Cascina del Frate, 2012 (Alba, Italy) [$44]. This was a nice one, with a ripe, jammy, floral bouquet and a palate showing off bright berry flavors joined by spice and slight herb. 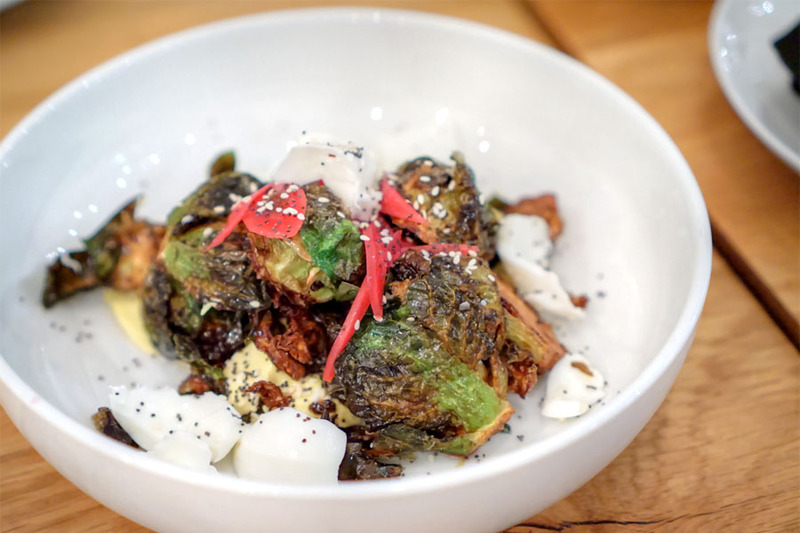 I was a big fan of the Brussels, the bitter, firm, well-charred sprouts matching well with the bagel spice while shards of deviled egg imparted a contrasting lushness to the dish. One of the more unique preparations of the veggie I've had in recent times for sure. Uni and ricotta made for a creamy, luxurious combination that meshed beautifully with the brightness and crunch of peas. Nice zippiness from the lemon to boot. Sweet potatoes were sugary and rich, so the chimichurri was absolutely crucial in providing balance and levity to the dish. 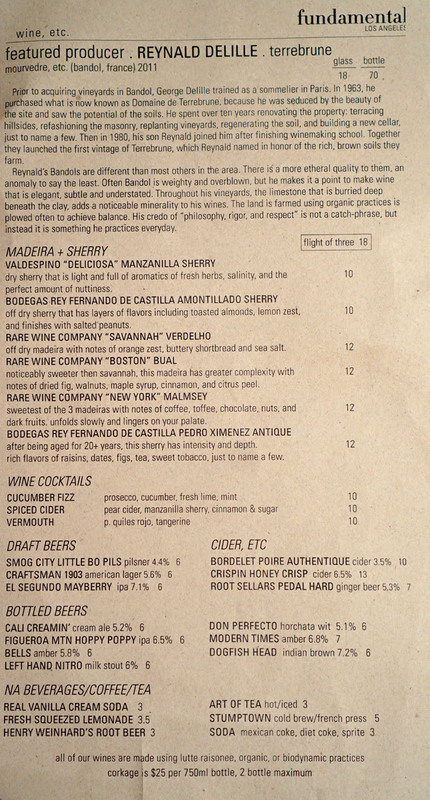 In fact, I actually wanted more of that, more acidity, more astringency. 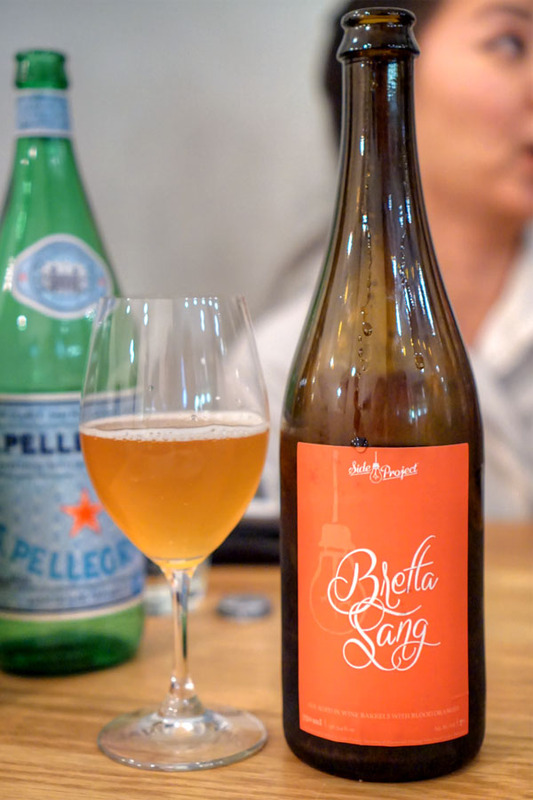 I brought along two beers tonight, the first of which was the 2015 Side Project Bretta Sang, a Brettanomyces- and Lactobacillus-fermented sour ale aged in French oak wine barrels for 10 months, with blood oranges added. It was really quite lovely, smelling of sweet, juicy, aromatic citrus while taste-wise, I got loads more of that smooth, sweet blood orange over a tart, robust backbone. Easy-drinking for sure. 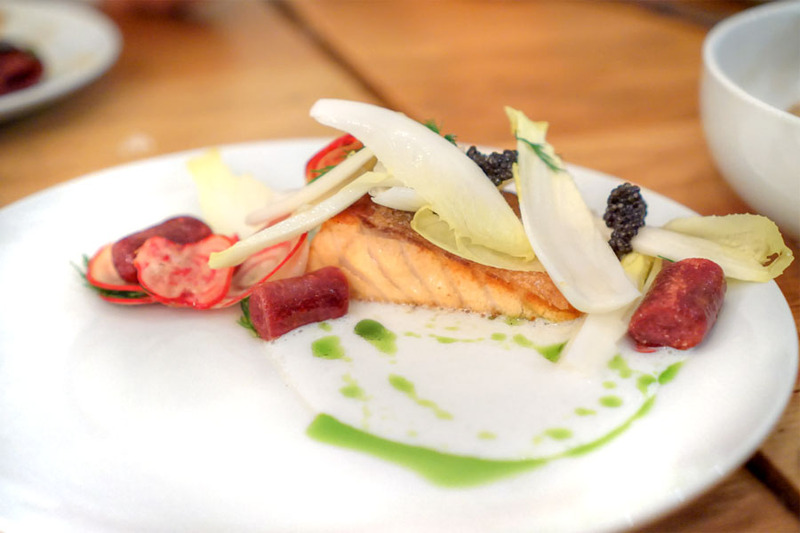 Cooked slightly rare, the salmon showed off plenty of savory, saline flavors, augmented by the caviar. Great bitterness and crunch from the endive, and I appreciated the additional heft from the gnocchi as well. The potatoes were another favorite. Superb smoke and creaminess on the fingerlings, balanced out by crunchy cubes of apple and spinach. Beef came out a bit tougher than I'd prefer, though it hit the mark flavor-wise, especially when taken against the astringency and smoky char of the chicories. Excellent richness from the runny-fried egg too. The chicken was another standout. 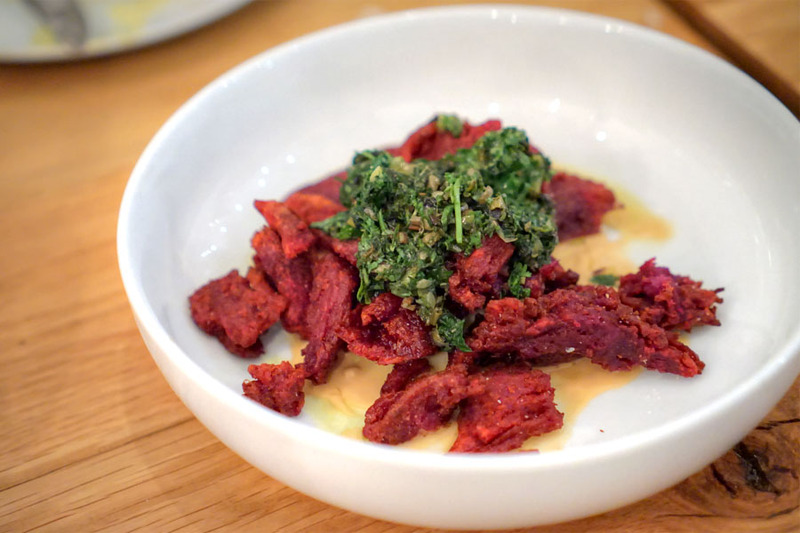 I found the bird just the right amount of juicy, tender, savory, and crisp, and was quite enamored with the escarole-bacon combo and the contrasts there. Delish. 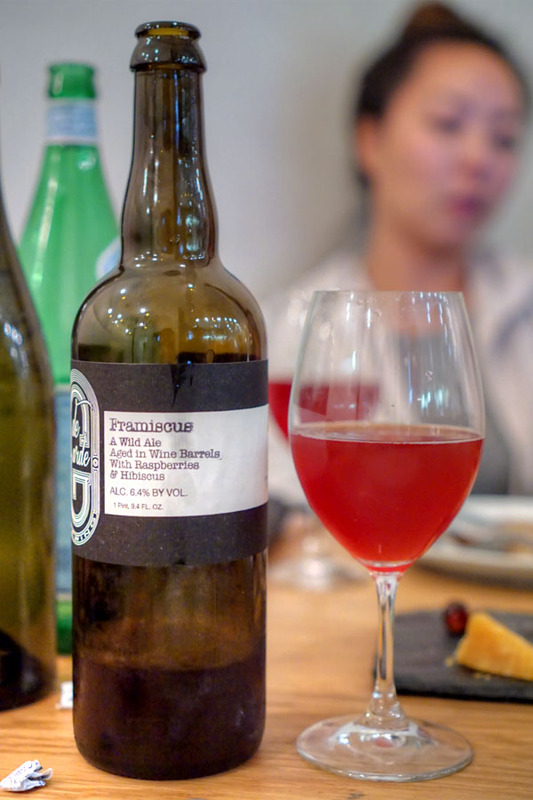 Our final beverage this evening was a blended wild ale aged in wine barrels with hibiscus and raspberry, the 2015 de Garde Framiscus. 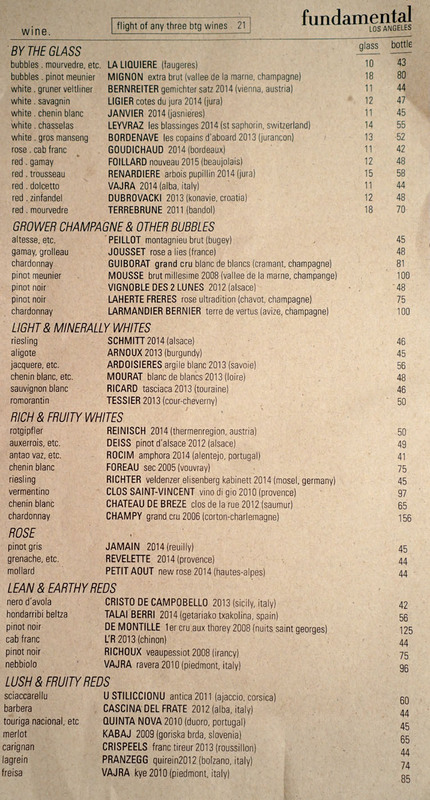 On the nose, think jammy and tart all over the place. The taste followed, with raspberry initially leading to a base of pucker while the back end was where the floral sweetness of hibiscus crept in. Top notch. 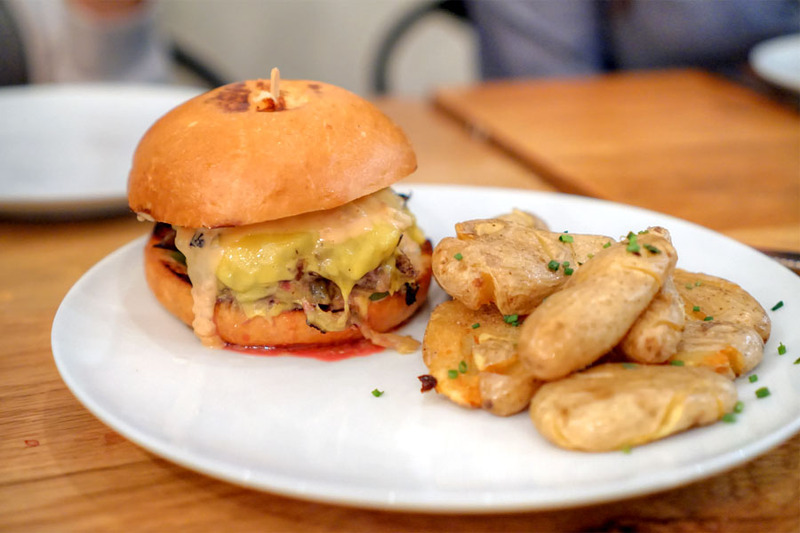 We ended our savories with the burger, a not-too-fancy example that was all about the inherent goodness of beef 'n' cheese, bound together by the tanginess of Thousand Island. Yum on the fingerlings, too. 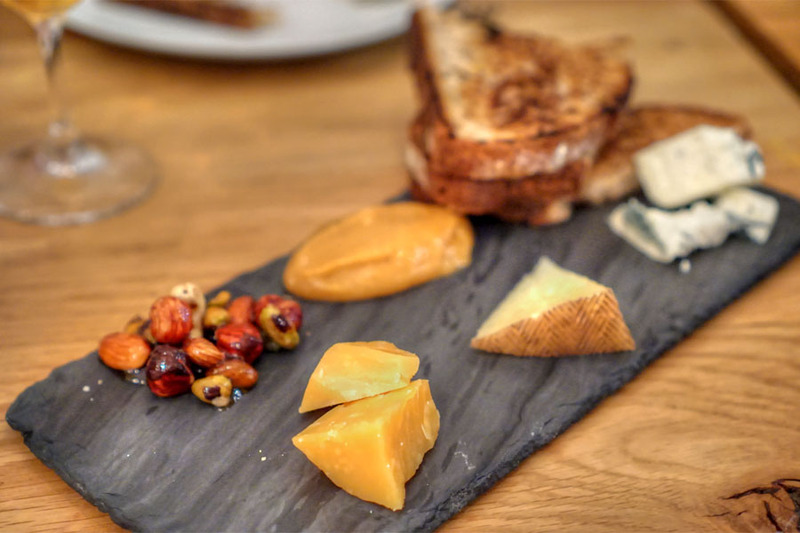 Before dessert, we opted for a cheese plate with Beemster Cheddar, Manchego, and a properly piquant Point Reyes Blue. Condiment-wise, some of us were quite fond of that zesty ginger-persimmon jam. 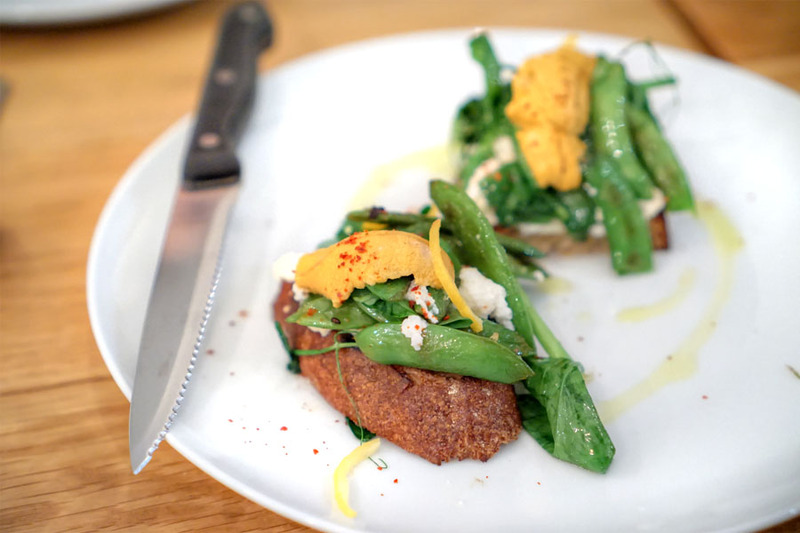 The marriage of a gritty cornmeal cake and sour, tangy curd made for an effective pairing. 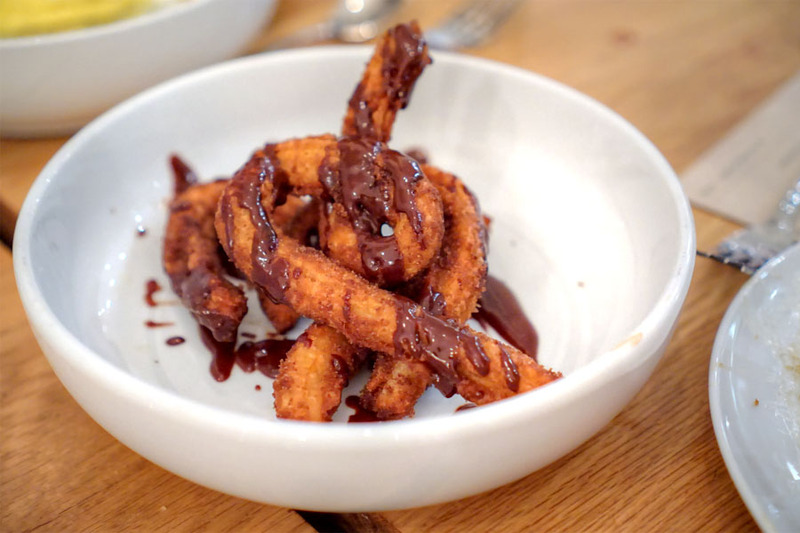 Churros were dense and crisp, not particularly flavorful on their own, but well-matched to the dish's richly-spiced chocolate condiment. 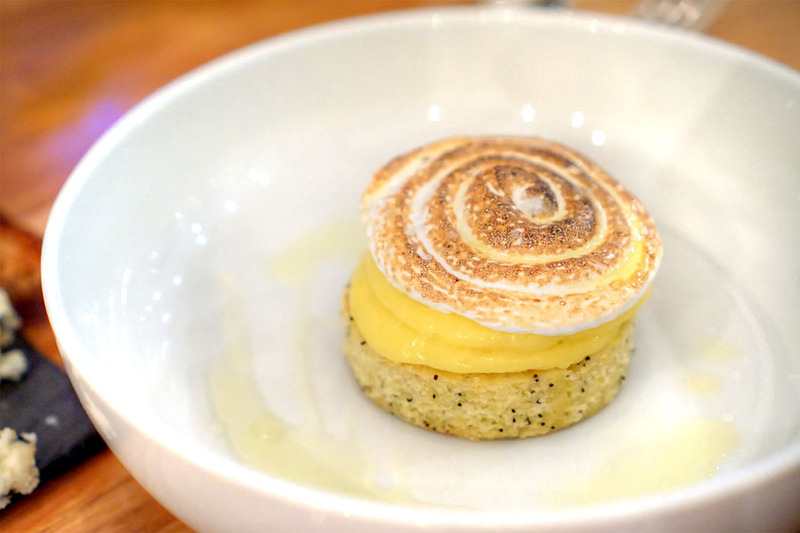 I was glad to hear that Fundamental had found a new chef, and that Erven had found a new kitchen to call home, one where he's presenting sort of a more laid back version of the food he was serving up over at Saint Martha. Once he gets settled in more, I'm curious to see if Erven will gravitate toward the less-casual cuisine he was known for at the old spot. I think what he's doing now suits the place, but we'll be keeping an eye out. Love your reviews and photos, Kevin. 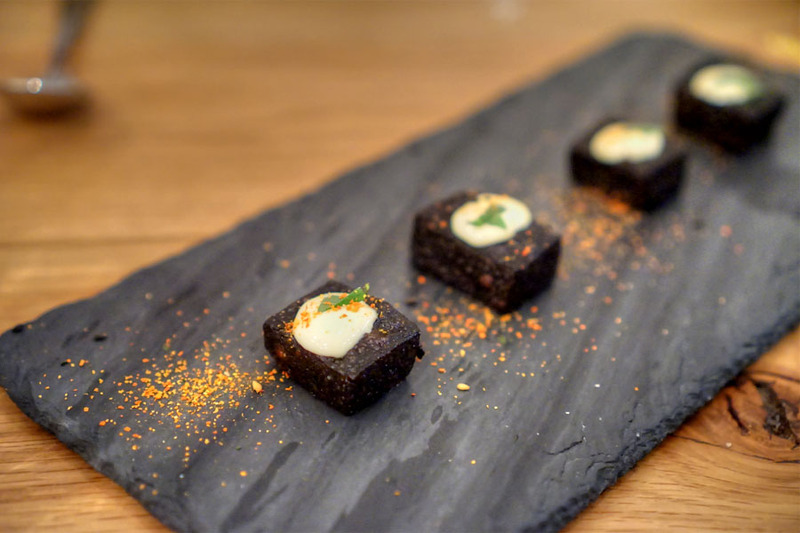 It is certainly not just this restaurant, which has to be extra tasty to overcome its minuscule storefront and difficult parking. But I am so tired of the current obsession with putting a soft or runny egg onto so many dishes. 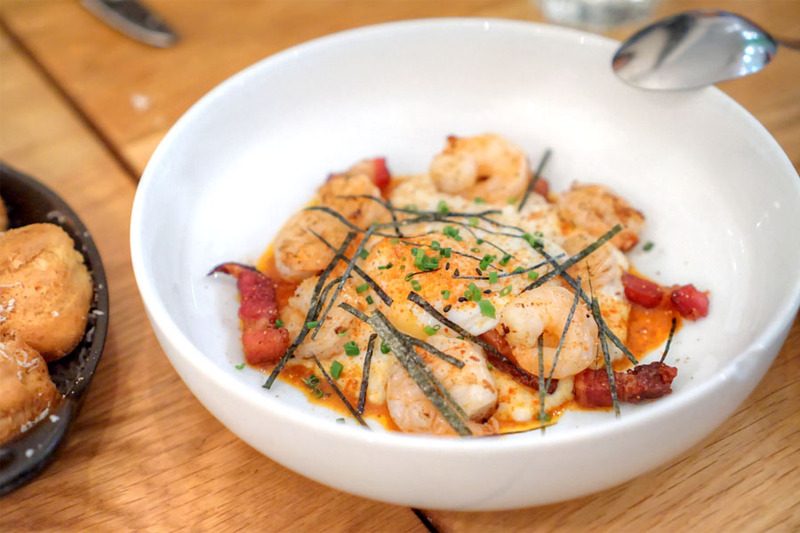 The shrimp and grits dish above has no need for the superfluous egg other than to add a couple bucks to the price, and why the hell does an otherwise attractive beef dish need a five-minute egg? Cut it out, or offer the egg added as a supplement.